We encourage you to enjoy your escape in the garden parish of Ocho Rios and get your feet wet as you climb the famous 600 ft waterfall featured in the movies of Tom Cruise and James Bond. This exquisite landmark, The Dunn's River Falls, provides the perfect environment for fun and relaxation and is one of the island's most visited attraction. In addition to the falls, the location also has a beach for swimming and sunbathing, and a cafeteria that provides visitors with exceptional Jamaican cuisine. Each guest will receive a pre-purchased ticket to enter the location. Once inside the park guests are put into groups and assigned a trained guide who will conduct a brief safety and introductory session before the climb up the falls. The boardwalk along the falls provides easy access for those who wish not to climb to photograph their love ones so nobody is left out of the fun. After your adventure climbing the beautiful Falls, embark on a musical pilgrimage from Montego Bay to the birthplace and final resting place of the King of Reggae, Bob Marley. Take in the beautiful scenery as your driver navigates the narrow, winding country roads to the mountain village of Nine Mile and enjoy tales of the life and times of young Bob Marley. This mystical experience exposes you to the world famous Rastafarian religion, culture and practices - a must for every reggae enthusiast! 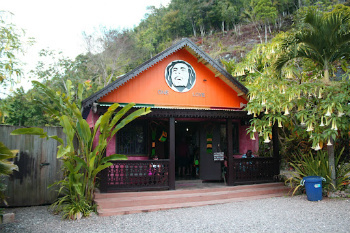 Your visit to Bob Marley's home at Nine Mile includes a tour of the property from Rastafarian guides, which usually includes a rendition of one of Bob's songs, memorabilia, his famous "rock pillow" where he rested his head for inspiration and the Marley mausoleum. 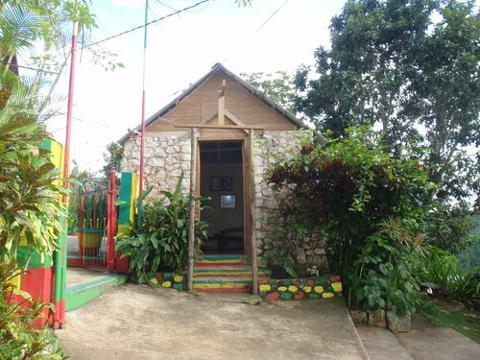 See the two tombs in the mausoleum, one where Bob Marley is buried along with his half-brother, Anthony Booker. The second tomb is that of Cedella Booker, Bob Marley's mother or "Mamma Marley" as she was sometimes called. Experienced guides at Mausoleum and Dunn's River Falls. Entrance fee to Bob Marley's birth and burial place.